South America « Dr Deborah Swallow – Global Cultural Diversity..
Today is Universal Children’s Day, a day to remind people across the globe of the rights and welfare of children. Children's Day highlights the importance of welfare. The day was first established in 1954 by the General Assembly of the UN as a response to child labour. The day highlights the inhumane aspects of child labour: the long hours, dangerous work conditions, and denial of education. In most countries, the situation of child labourers has improved drastically since 1954, but there are still over 215 million child labourers around the world today. The UN is worried about the current trends because it seems that the number of child labourers is on the rise in poorer countries. The UN has therefore declared to eliminate child labour by 2020. This declaration fits into the Millennium Development Goals (MDGs), which all have a target date in 2015. Although the MDGs are for all human kind, they are primarily about children. Happy Universal Children’s Day everyone! Halloween Day is celebrated as a festival around the world. Especially celebrated by the younger generation, this festival of All Hallowes comes about as a practice followed among the Christian population and has its origins as a Pagan Celtic festival – Samhain. It’s celebrated the night before the Christian Festival of All Saints Day. Adults create laterns for their children made from large pumkins which have been made into ghoulish faces. Children play ‘trick or treat’. However, in the Nordic countries this is the evening when friends and relatives who have died are remembered. People often go to the cemetary and place lit candles in the snow. The sight of hundreds of candles burning in the dark, illuminated by the white snow is quite a sight. Today is the International Day for the Eradication of Poverty. Nearly half of the world’s population (that’s three billion people) live on less than $2.5 a day. 1.1 billion people have inadequate access to water and 2.6 billion people live without basic sanitation. Approximately 790 million people in the developing world are still chronically undernourished, almost two-thirds of them residing in Asia and the Pacific. 18 million deaths a year, one third of the world’s deaths, are caused by poverty. All the more shockingly, an average cow in the European Union receives more than £1.40 a day in subsidies, which is more than the amount that half the world’s population survives on. This year’s theme for International Day for the Eradication of Poverty is “Ending the Violence of Extreme Poverty: Promoting Empowerment and Building Peace.” Just like the quote above by Joseph Wresinski, this theme recognizes poverty as a human rights violation, rather than simply as a low income level. 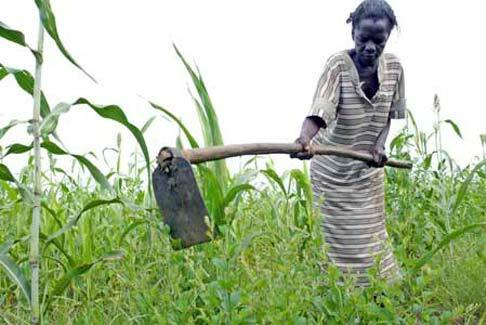 It is estimated that 60% of chronically hungry people are women and girls. Today is International Day of Rural Women, a day that recognizes the vital role of rural women, including indigenous women, in enhancing agricultural and rural development, improving food security and eradicating rural poverty. 60% of chronically hungry people are women. The day is purposefully held a day before World Food Day in order to highlight the role rural women play in food production. Poor rural households feel the global crises the hardest. The poorer the household the more its members have to change the way they live to cope with the crises. In 2008, for the first time in history, more than half of the world’s population was living in cities. Today more than 50% of the world's inhabitants live in cities. 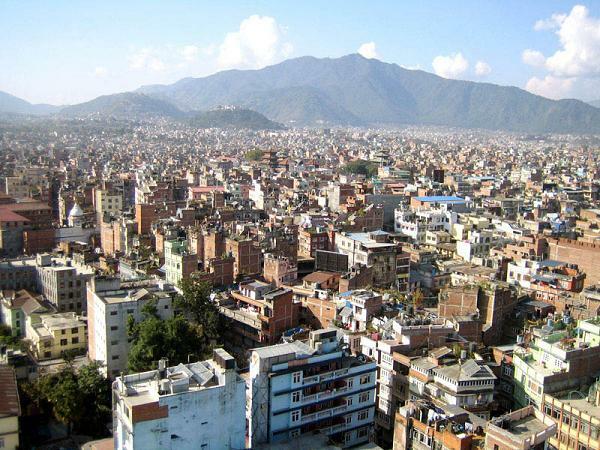 Today is World Habitat Day, and this year’s theme is Changing Cities, Building Opportunities. To honour the spirit of the Olympics 2012, 204 poems from around the world, from Afghanistan to Zimbabwe, have been collected from each of the 204 participating countries by the Scottish Poetry Library. Here are the first ten from South America and the Carribean. Enjoy! The poems selected are often not by the most notable poet a country has produced. Some of them are funny or light-hearted. Often they are snapshots of lives rather than grand narratives. And some of the choices may be controversial. However, they all give a glimpse of lives in countries spanning the globe. Together these poems depict a world united not only by sport, but by emotions that are universal and need no translator other than the heart. International Women’s Day is a global day to celebrate the economic, political and social achievements of women past, present and future. The first IWD was launched by a woman named Clara Zetkin (German) in 1911. In some places like China, Russia, Vietnam and Bulgaria, IWD is a national holiday. However, the plight of women and the hardship they still face in many countries is highlighted by many organisations – see below. 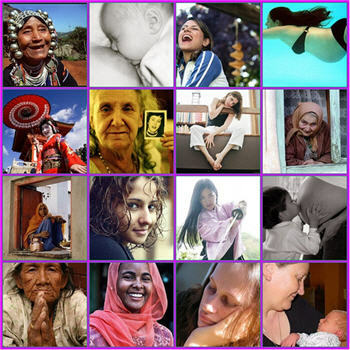 Official International Women’s Day site – see how you can help bring about change in the world. Photograph by web/graphic designer Melanie Cook, used with permission. Thank you!